Though the renaissance predominantly took place in the northern regions of Italy, such as Florence and Milan, the renaissance still touched Rome and its influences are still viewed by millions of tourists to this day. FlightHub Review has compiled a list of all the best Renaissance sites to see while in Rome. 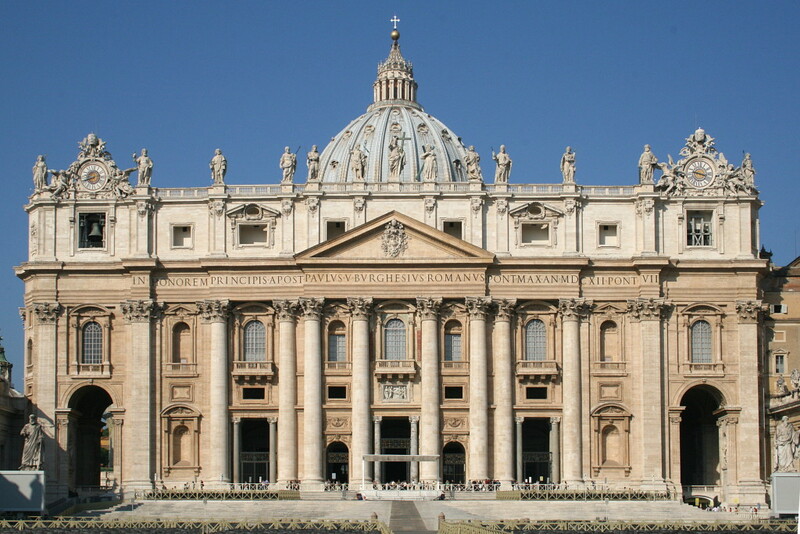 Known for many reasons, the most famous Renaissance basilica in the world is located in Vatican City. Designed by some of the most prominent Renaissance artists in the world, Michelangelo and Bernini, the basilica is a testament to Renaissance architecture and is also the largest churches in the world. The dome of the basilica is considered to be one of Michelangelo’s finest architectural designs, and has since been replicated all over the world. The Basilica was designed with Renaissance style such as its cruciform shape and elongated nave that was a popular and defining feature during this architectural period. FlightHub suggests visiting the basilica during the day as it takes quite a bit of time to visit the church. Located within the Church of San Pietro is the Tempietto, which is Italian for small temple. This temple is a small commemorative tomb commissioned by Ferdinand and Isabella of Spain, and is considered masterpiece of High Renaissance Italian architecture. Harmony played a large role in renaissance architecture, and the Tempietto is a testament to how style and movement within architecture is displayed. The circular temple is supported by classical entablatures, with outstanding Corinthian-pillars and impressive statues within the temple. FlightHub believes this is a wonderful site to add to your must-see’s of Rome. What would a trip to Rome be without seeing the Vatican Museum? Though the museum is home to more than just renaissance art, some of the most impressive and important pieces of the Renaissance are housed in the Museum. FlightHub suggests getting to the museum early, as it takes a significant amount of time to view the exhibits, and crowds are large. While you’re there, FlightHub encourages you see all the exhibits hosted by the museum, but if you can, you should see the Pieta, sculpted by Michelangelo. Considered one of the artists most cherished masterpieces, the Pieta is the embodiment of renaissance art and sculpture. The artist’s depiction of Christ laying on his mother after his crucifixion was the first in a series of similar depictions of Christ. The most impressive thing about this sculpture is that it was carved from a single block of marble. PS. This is a sponsored post! Missed out on San Pietro…Vatican Museum was the most amazing. St. Peter’s Basilica is beautiful as well. Surprised that Colosseum does not feature here. Choice of the sponsors Ami! The Vatican and St Peter’s is phenomenal, I’ll never forget the drive up the street to the entrance because I was caught unaware and suddenly I caught a glimpse of St Peter’s in the distance. Rome is stunning ! I hope I get to see it sometime! One on my wishlist. Good one! Though I have been to Italy but not to Rome!